Recently I considered, in a best-of-all-worlds fashion, what media in an iCloud might look like. With the official unveiling of iCloud we now know the reality. While I certainly didn’t get everything on my wish list—streaming music and video, remote access to media stored on your computer, and an iTunes music subscription service—iTunes in the cloud is a solid step forward for consumers and one that should cause Google and Amazon to strongly consider their next moves. Pushy music On your iPhone (or other supported iOS device), you navigate to Settings -> Store. There, you can enable an Automatic Downloads option individually for Music, Apps, and Books. You later purchase an album on your Mac. That album is then automatically downloaded to your iPhone when it’s connected to the Internet via Wi-Fi or, optionally, 3G. And it can go in the other direction—iPhone purchases are automatically downloaded to your computer or other iOS devices. Download music (again) In the past if you lost your purchased music because of a computer crash (and the lack of foresight to back up your purchases) you had to ask Apple if you could pretty-please download them again. Permission was invariably granted, but it was a pain. 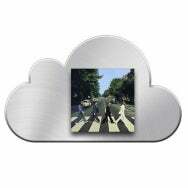 That roadblock is gone with iTunes in the cloud. Now you can re-download the unprotected music you’ve purchased at a bit rate of 256kbps AAC. If you purchased DRM-protected 128kbps AAC files and re-download them, they’ll download in the same format. Regrettably, the tracks aren’t updated to DRM-free 256kbps AAC files. You still have to pay 30 cents per track or $3 per album to upgrade them to that format. You can currently re-download your music on an iPhone 3GS, iPhone 4 (GSM model), iPod touch (3rd and 4th generation), iPad, or iPad 2 running iOS 4.3.1 or later by launching the iTunes app, tapping the Purchased button, choosing the song or album you wish to re-download, and tapping the cloud button. The music will then download to your device. You’ll similarly see Purchased buttons in the App Store and iBookstore apps and they work the same way. Choose content you’ve previously purchased and download it to your device (you’ve been able to re-download apps and books for a while, but the process wasn’t always very clear). There’s one catch for albums no longer available at the iTunes Store. According to Apple: “Previous purchases may be unavailable if they are no longer in the iTunes Store.” This means that if you purchased Frank Zappa’s catalog before it was pulled from the iTunes Store by the Zappa Estate, you can’t re-download it. iTunes Match and the active locker As I explained in that earlier article, there are two schemes for storing music you own in the cloud. The first is to place a copy of the music you own on a server and make only that copy available to you. This is called a passive locker. Conversely, an active locker keeps only a record of the music you own and then makes one copy of that music available to multiple users. Google’s Music Beta and Amazon’s Cloud Drive use a passive locker and require that you upload the music you own to their servers. (When you purchase music from Amazon a copy of that music is placed on the server so you don’t have to upload it.) Apple’s $25-a-year iTunes Match uses an active locker. Much like with iTunes’ Genius feature, a database of the music you have in your iTunes library (purchased as well as other music you’ve ripped or acquired) is uploaded to Apple. Once Apple has that record, you can treat that music just as you can purchased music. If you want to re-download it, you can, in 256kbps AAC format. This is a very big deal if you ripped a lot of your music in the old days as 128kbps MP3 files and then later disposed of your CDs. If tracks in your library aren’t available at the iTunes Store, you’re welcome to upload them to Apple’s servers. Also note that iTunes Match limits you to 25,000 tracks (although iTunes purchases are not counted against that limit). The outstanding question is whether Apple will put any safeguards in place that attempt to identify pirated music and prevent it from being available to those who have it in their music libraries. For example, music you currently purchase from iTunes is unprotected, but it’s watermarked with the name of the purchaser. If you were to take a track purchased by another person and ask Apple to add it to your online collection via iTunes Match, would there be a problem? Or does that annual $25 fee also buy a measure of amnesty from the record labels? Active lockers aren’t a technical challenge. Rather, they’ve been difficult in the past because of licensing issues. Specifically, the music labels insist that companies must have their permission to make single copies of tunes available to multiple users. Apple has been able to secure that permission while Amazon and Google have not. Instead, Amazon and Google have been forced into the passive locker approach, which, because of the time and bandwidth needed to upload large music libraries, is less than ideal. Having leapt these licensing issues, Apple is free to pursue other goals—streaming of this stored content, for example, rather than simply offering downloads. Google and Amazon, on the other hand, are a lap behind and looking at either coming up with deals of their own or, worse, spending time in court fighting with the labels. Updated 12:00AM 6/7/11 with additional iTunes 10.3 information.